When you work from home, it is challenging to make exercise a priority. 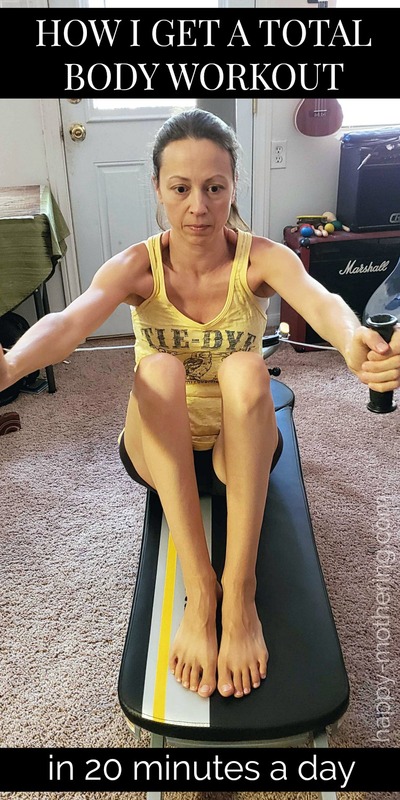 Total Gym, the sponsor of this post, makes it easy to get a total body workout in only 20 minutes a day, and it doesn’t feel like a chore. Over the last year, I’ve lost a lot of weight. A total of 64 pounds to be exact – more than I want to lose actually, so I’m actively trying to gain weight right now. In addition to eating well, I want to put a focus on building muscle. While I love working out at the gym once I’m there, getting motivation to go is another story. Especially during winter in the mountains! I cancelled my gym membership when I broke my big toe almost two years ago. Right when I thought about re-joining, it was time to have my gallbladder removed and recover from that. 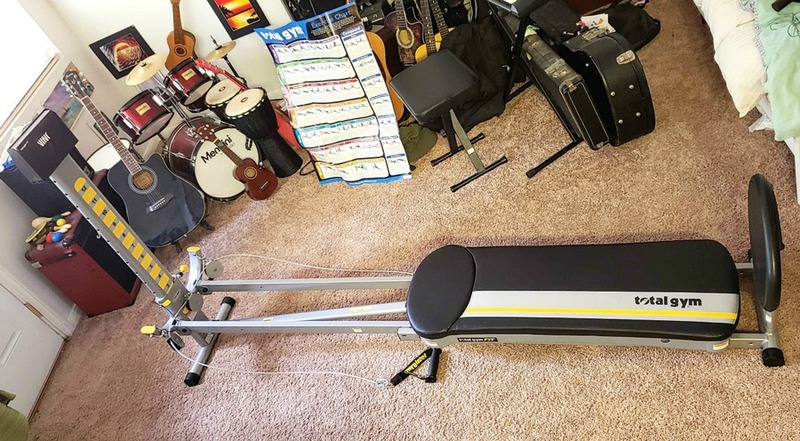 After I was healed up, my husband and I were having a discussion about me joining the gym again when Total Gym offered to send us their Total Gym Fit to make working out at home easier for me. If you work from home, then you probably know how hard it can be to take the time to do things for yourself throughout the day. There’s always something “more important” from that day’s to-do list to tackle. I am so guilty of that! Since it has become apparent that I desperately need to take care of my body better than ever before, I decided it is time that exercise goes on my priority to-do list. 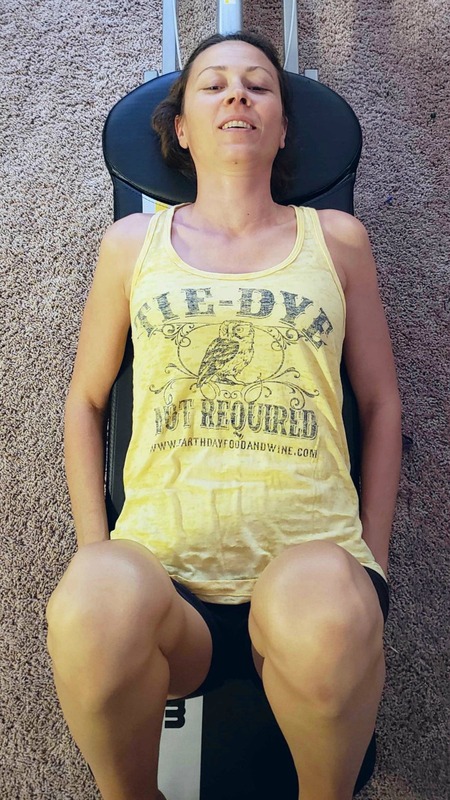 Honestly, I was really skeptical about whether I would actually enjoy working out at home, but I agreed because I was ready to start building muscle again! And, Brian told me several years ago how cool it would be to have a Total Gym, so I said let’s do this! It arrived needing no assembly – just the attachment of a few pieces and parts. It comes with a lot of great stuff though. It folds down pretty compact. Although it does not fit under our bed, if you have a standard bed that is not flush to the floor it should fit, or it can be tucked into a closet as well. It literally takes under a minute – you can see on my Instagram Stories. We keep ours out. I feel like when you see it, you’re more likely to use it. Especially when you’re first trying to develop the habit. Keep it in your face. You do need to make sure you have plenty of space where you plan to use it. It opens to be much larger than we expected, but it fits in the space we have. I love that it’s just one machine so that I don’t have to mess with a whole bunch of different pieces of equipment. I like that the training deck even fits perfectly on the Total Gym so I don’t accidentally misplace the cards. The Total Gym uses a percentage of your body weight for resistance, which I thought was great. You use a higher percentage when you want to build muscle or a lower percentage when you’re looking to tone. 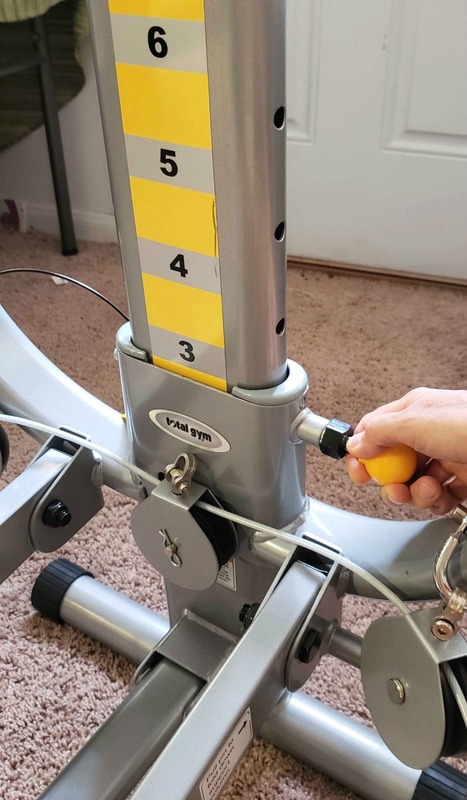 It’s really easy to adjust between exercises since you don’t have to add or remove weights. My husband and I like to use the Total Gym together so it’s important that adjusting the weight levels is easy. We alternate doing the exercises just like if we were working out together at the gym. It’s a nice way to start the morning. I love that we can spend just 20 minutes in the morning and our weight training is done for the day. Then I can go for a hike or long walk to get my cardio in. Even though it feels like you’re not lifting a ton of weight since it works with your body weight, you’ll feel it later. I was consistently surprised by how good the workout I got was compared to the effort. Brian felt the same way. 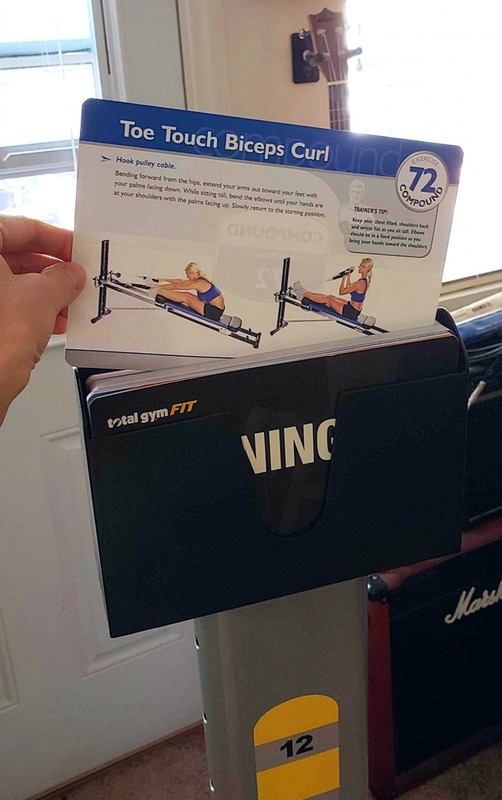 In addition to the training deck, the Total Gym also comes with an exercise chart (it was super helpful when we were first getting started) along with 6 Total Gym Exercise DVDs. In total, they cover more than 80 exercises so you won’t get bored with your workout. I have really enjoyed using the Total Gym over the last two weeks and we plan to continue sharing our experience with on you social media. 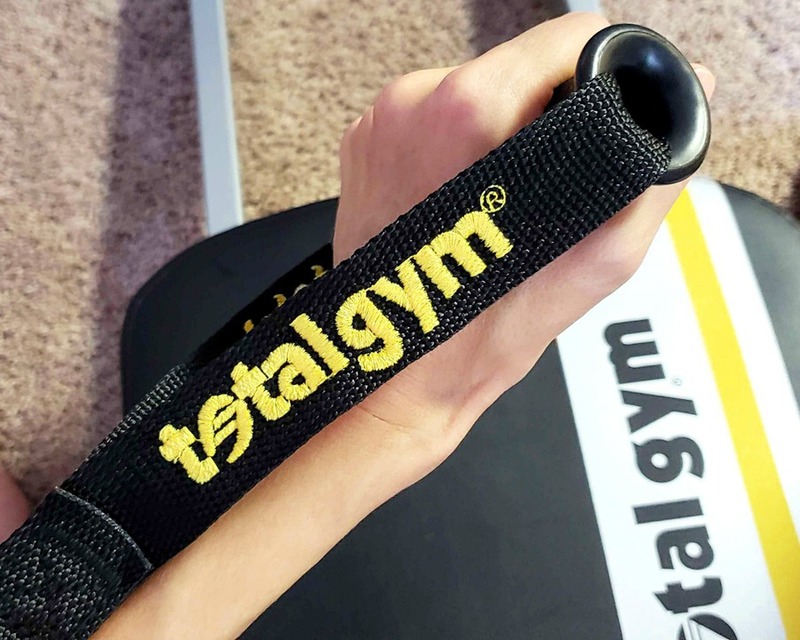 Have you used the Total Gym as part of your exercise program? *Please consult with your doctor before beginning any new exercise regimen.